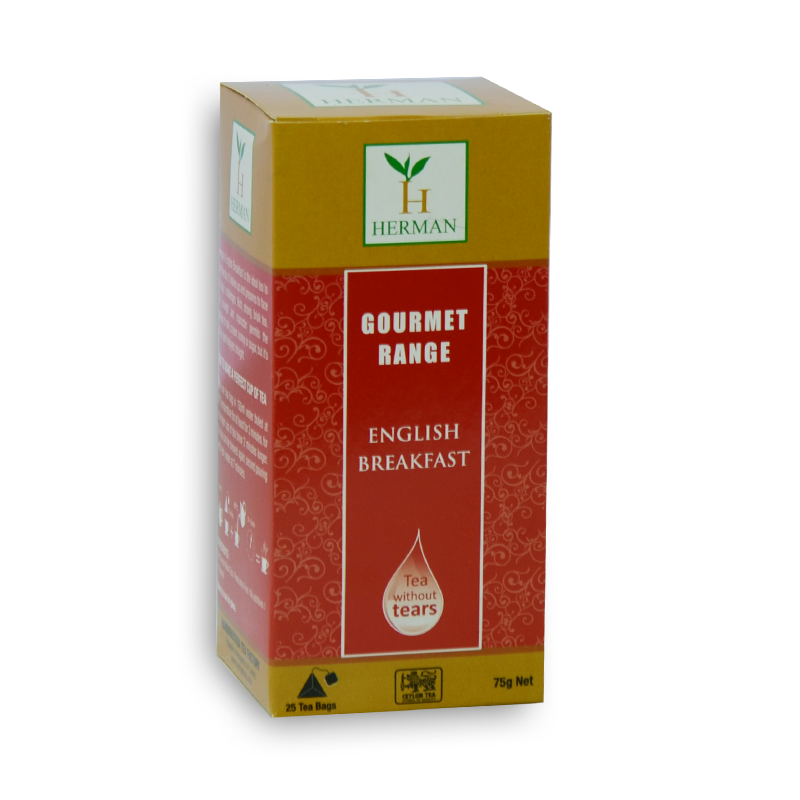 The ideal tea to start the day, English Breakfast can be enjoyed as a replacement for coffee and has a strong liquor that could be enjoyed with milk and sugar. Herman’s range of gourmet teas consists of top of the range teas meticulously selected just for you. Taste and experience Herman’s exquisite Gourmet Tea!!! Allow Herman’s Gourmet Range to tantalise your taste buds and refresh, re-energize your day with a tea experience unique to Herman’s handcrafted labour of love.